Lori's H2O Skills is a one of a kind warm 90 degree, indoor, saline swimming pool in Milford, Ohio. We offer low ratio swimming lessons as young as 3 months to adult, special needs and swim team level. Our facility also has adult water aerobics classes, Gift Shop, towel service, swim suit dryers, Birthday Parties and Special Events. 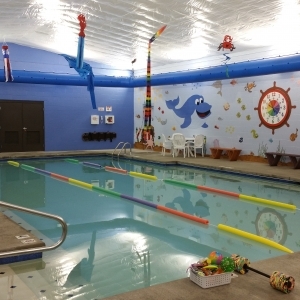 You can enroll for swim lessons online at our website www.lorish2oskills.com, give us a call at 513-515-8468 or stop in for a tour.